With innovation that puts people first, our next-generation of trucks feature design enhancements in five major areas. 'ESCOT-Ⅵ' – the latest evolution in 12-speed automated manual transmission, disc brakes, and an interior designed for driver comfort, provide a sophisticated and comfortable driving experience that reduces driver stress and fatigue. 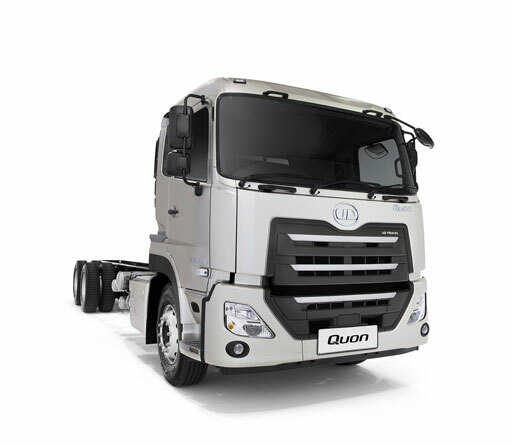 The New Quon driveline features the clean 'GH11' engine with improved horsepower and torque, and the 'ESCOT-VI' automated manual transmission with enhancements to fuel efficiency. 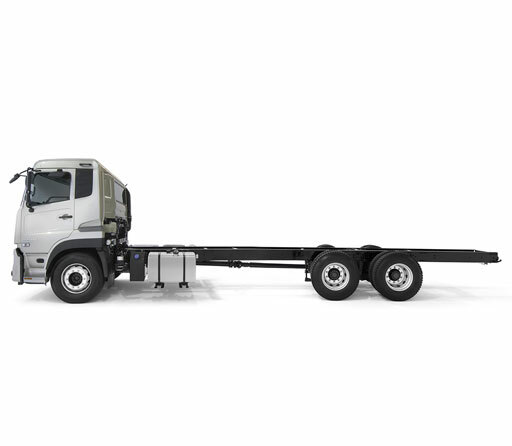 The driveline uses advanced technology to achieve high fuel efficiency and smooth, comfortable driving with minimal fatigue. Safe driving is easier if the truck can predict potential dangers and warn the driver. To do this, the Quon features advanced safety systems such as the Traffic Eye Braking and the Driver Alert System (optional). The goal is to achieve 'safety that puts people first' by providing safe conditions for drivers, while maintaining safety in the surrounding environment. Disc brakes with high heat dissipation and superior fade resistance improve safe driving. The key to efficient transport is increased payload. Quon uses disc brakes and high-tensile-steel rails for the main frame to reduce vehicle weight. Our chassis designs allows for simpler body-mounting prociding a greater range of options. Highly reliable and durable trucks are essential for maintaining a high level of uptime and providing a distribution business that shippers can trust. 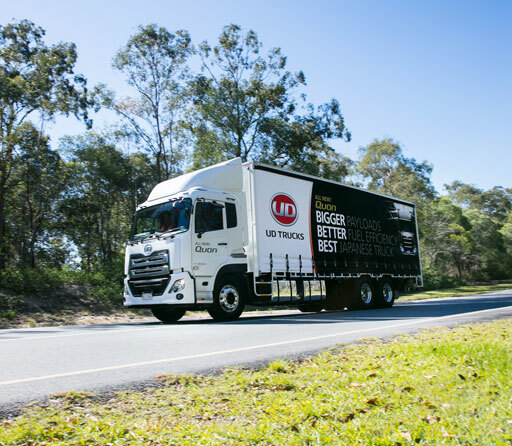 By achieving a high level of quality across the entire truck, quality that has passed tests in strict environments, Quon gives your business reliability and durability that you can count on.